djkardkreations: I Wheelie Like You! And NBUS Save the Date! I Wheelie Like You! And NBUS Save the Date! As soon as Lawn Fawn came out with their adorable hamster and wheel stamp and die set, I heard from a lot of you that Hammy is now famous. Of course, I had to buy it for him and he has been patiently waiting for the unveiling. You have to admit, he is adorable! The awesome NBUS embossing folder is from Cuttlebug. I hope you get a chance to join in the challenge at Less Is More! 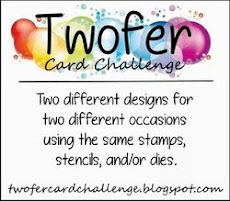 I'm also entering this card in the current "Bare Naked Cards" theme challenge at AAA Cards. I simply had to use the dies that came with the set for my second card. Normal hamsters ride inside the wheel as shown above, but not Hammy. Hammy has this unique set up, as only befits a Playhouse hamster! You've heard of "thinking outside the box?" Hammy likes to "think outside the wheel!" All the elements are from the Lawn Fawn set, except for the two clouds which are NBUS from the Paper Smooches "Metropolis" set. I'll leave it up to you to decide whether they actually depict clouds on this card or if I meant for them to be little puffs of steam because he is running SO fast. Or hamster toots. Or maybe popcorn. It's all good. Since I used snippets of card for my wheel cuttings, I am taking this card over to Pixie's Snippets Playground to show my mates there! 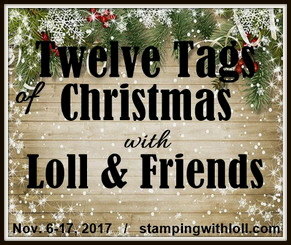 There is an ever-popular "Anything Goes" challenge at Addicted to Stamps and More where their new sponsor just happens to be Lawn Fawn. Thank you, Serena Dipity! And over at Simon Says Stamp Monday Challenge, they have "Lions and Lambs, Oh My," where any animals are allowed! There was another reason I did my Hammy card today. Everything on both cards was NBUS, so it seemed like a good time to seq my way to NBUS Challenge #4! What's that you say?? NBUS Challenge #4?? That's right! I have turned over another milestone marker in my followers which means it is time for NBUS Challenge #4! This is a head's up that the next NBUS Challenge will go live at 12 AM (midnight) PST, this Saturday, March 21st. NBUS = never-before-used schtuff. It can be old or it can be new, it just has to be something that you've never used before. You know how much I wheelie like you and you made it perfectly clear that you wheelie like me and/or using NBUS and/or prizes, when you submitted 557 entries to the last 3-week NBUS challenge. I think all your entries are worth commenting on when you go to the trouble of playing and I always find it enjoyable. I know you don't expect me to do that, but it's what I want to do, so to prevent me from burning out and developing car pool tunnel, this time the challenge will only run for ten (10) days. Please go ahead and get busy thinking and creating! If you are new to NBUS or need a refresher about the specifics, all the rules can be found under the tab "NBUS Rules" at the top of my blog. Five $25 gift certificates will be randomly awarded. The winners will be free to choose any domestic company. Okay? Are you with me? Are you becited? Me, too! Most importantly, thank you for being here! I still pinch myself with each new friend that joins! I also thank those of you who are subscribers and surfers. I really appreciate all your encouragement and support and comments. You keep me going, you keep me smiling, and you constantly inspire me with your talent and creativity!! MWAH! How cute is Hammy inside and outside of his wheel! I have that same embossing folder and I have never used it. Wonderful cards Darnell - and I think those thingys in the second card are Hamster toots - after all that exercise I am sure things got stirred up for Hammy, and he would also have needed some gas propulsion by the time he got that far! Hammy is super cuteeee! And that sentiment... adorable! Yay, that Hammie has made the big time Darnell, and I love your cute pair of cards. The first one with the embossed background is so beautifully CAS and the second one has sent me away smiling at his antics. Do you ever join in with the acrobatic display? woooooooohooooooooo Darnell... you did my day with your Hammycards... I have to lough and that a great start to my day. So happy to see Hammy making an appearance on your fun cards. Thank you for making me smile. Congrats on reaching 800 followers, I am looking forward to the next NBUS challenge. I love both cards. Simple is often best. Fabulous cards and love the Hammy stamp - so cute. Looking forward to the next NBUS challenge! How perfect is that set!? I bet hammy is pleased as punch. And those cards are both brilliant. Yeah!!!!! Hammie has been immortalised in a stamp, you must be so proud. He's soooo cute too ..... your cards look fab (toots and all!). Looking forward to NBUS 4 ..... will try my best to join in inbetween the packing! I wheelie like both these cards.....they are so sweet & the colours so lovely and bright. I dunno HOW you managed to get around all that commenting....so good on you.....not that I wish you any less entries....well, I don't THINK I do... do I???!!!!!!! Cool cards Darnell, the first one us a true CAS beauty! And love the wheels on the second one and the matching sentiment. Looking forward to NBUS Challenge, I saved some goodies ; (. Thanks so much for supporting us at ATSM, always a pleasure to see you there. Soo very cute!! I love your clean and simple design!! Stinkin adorable cards! Hammy is as sweet as can be! LOVE that folder, too! Hammy is definitely the star of the show on these two fab cards Darnell...and the thought of him "tooting" made me snort water all over the computer!! We might have great news here - someone flipped the lid off Spike's feeding bowl during the night. I need Len to come home from archery and check out the CCTV - but am hoping that little Spike is stirring!! You need to prepare yourself Darnell, Hammy's fan mail is going to be delivered by the truckload!! Tell him to start practicing his autograph too. Well, once he gets over the "tooting" embarrassment!! CUTE CUTE cards, the perfect stamp set for you sweet friend!! Ha! Ha! Hammy toots! Sorry, that just makes me giggle. And I am also smiling really big at your cards. Both are fabulous and so are you with all your positivity and encouragement to so many. Thank you for being such a wonderful ambassador for generosity and kindness! Oh your cards have me smiling today!! I love the Hamster and your humour! And NBUS no.4 ... Yay! Wow! Hammy is REALLY famous! He's got his own stamp set! WOW! Lucky guy (and lucky us - we can stamp our own Hammy now)! You made some adorable cards! Love the one where he is running outside of the wheels - so typical of him, right? I'm so glad to see you using the stamps that Hammy made famous. I love both of these and how he thinks out of the wheel. :) looking forward to your next nbus challenge. Oh I love your adorable Hammie cards, both of them! What a cute stamp set. Congrats on another milestone, and I can't wait to play along with another NBUS challenge! oh that Hammies so darn cute. I love your fab design cards. The embossing folder looks like a really fab one own. Looking forward to you latest Nimbus challenge, as I have just the thing to use for it. Something I bought with my winnings of your 2nd Challenge, and haven't used yet. These cards are so dang cute...and I just love that Hammie is full of mischief and thinks "outside the wheel"...LOL....adorable cards and so meant for you to have these stamps and dies! Hammy truly is a star. His cards are so cute. I will chuckle over that outside the wheel all day. Sorry I've been AWOL for so long - life is crazy as you know! Love this - I bought the otter but now I may have to go back and get the hamster too! Love the energy of these cards! Happy Wednesday! Love both of your cards featuring Hammy! I must say, I really did think that they were puffs of steam from Hammy running so fast, but after you pointed it out, I'd guess it's hamster toots! LOL! Hammy is so cute both in his wheel and running like crazy on the outside! Really the perfect stamp set for you Darnell!! Super excited for NBUS #4! I went on a crafty splurge recently, so I have a lot of NBUS that needs using! Thanks for stopping by my blog too! I'm always happy when you do! Fantastic homage to hammy Darnell! I especially love the outside the wheel card. Off to read the NBUS rules, and mark my calendar. Hugs! I just knew you'd grab this set as quickly as you could! Ah-dorable cards! I like your explanation with the second one because in my mind I was saying "it's SUPER Hammy!" He almost needs a little cape! And I can't wait to play with NBUS! Congrats on the latest milestone, girlfriend...and, yes, I am so becited I get to use more of my ever-growing pile of NBUS!YAY! so very perfect for you! And they sure gave me a giggle!! These are so super cute Darnell, especially the clean and CAS layout of the first one. Love it. OMG what cute card creations! So clever ... certainly made me smile! YIPPEE! A new NBUS challenge ... I have 'saved the date' and look forward to it. Hugs and Happiness to you Darnell! Yikes!! Hammy is darn cute inside his wheel....but seeing him leap from wheel to wheel just makes me laugh! Clouds, toots, or popcorn......it's all just perfect! Oh yeah another NBUS challenge. You must have peeked into my craft room and saw all the new things I have purchased - I am good at that. Hammy's stamp and die cut are the cutest and I love the EF. Thanks for your concern dear II. Well, Hammie really stars in those cards you created. They are just the cutest things! That's definitely thinking outside the wheel! I'm so glad you go this set. I had to get it too (strict budget or not) because... duh! I haven't had a chance to play with mine yet and can only hope I do it up as well as you and Hammy have done here. I wheelie, wheelie like your cute cards and your out of the wheelie thinking on the second card, Darnell!!! Lovely EF!! And yeah for the 800!!! And a new NBUS challenge!!! .. hope my stuff I've ordered from MFT is here in time to use for a card or two to enter!!! You are such a honey to bring us these fun challenges, Darnell and even having some prizes - thanks you so much - always so much fun to take part!!! Fabulous and fun and isn't Lawn Fawn so sweet to make a stamp set just for you. Adorable cards, just love your sweet critter. Congrats on your milestone so excited for you. See you soon! Love Hammy especially when he's running across the tops of the wheels! Looking foward to the next challenge Darnell!!! Two super fun and sweet cards! Love them! Haha! I wheelie like your cards! Hammy is adorable. Looking forward to a new NBUS challenge. I have lots of stuff to choose from. So enjoy your posts! Thanks for sharing. ACK! These are awesome! Wheelie awesome...and so, too, is hearing about NBUS #4! I'm heading to my mom's next Tuesday (weather permitting since I'm driving on my ownsome), so I'll be playing from her house. Maybe I'll convince her to make a card, in which case, no matter what she uses, it will all be NBUS to her. I'll do my best to be persuasive! We'll plan a phone call, too! How cute is this little hampster in the wheel!! I agree, less in more. You made a great CAS card!! Looking forward to your NBUS challenge. I'm going with puffs of steam. Just look at him go. Such an honor to have a stamp made especially for him. Both these cards are simply adorable. Love it when a card makes me smile this much. OMG! Seriously? A hamster stamp...complete with a wheel! These two cards are so stinkin' cute! You killed me with the clouds/toots! Love how you 'grounded' the set of three wheels. My goodness - Hammie is going to be one fit rodent! Fabulous post, fabulous cards. You really do bring sunshine & fun to blog land! Love that embossing folder and as for Hammy. . . . . . what a star! I hope they're not Hammy toots as they're the same size as the Hamster! I thought of you and Hammy immediately when I saw that stamp set and I'm so glad you bought it. I'm also glad for the new NBUS challenge. I was afraid I'd use all my new schtuff before you had another one. I was wondering if Hammy was going to beg you for that set! Your cards are so cute! Your second card reminds me of my daughter who never wanted to run inside the play tunnels, but always on top of them! Looking forward to the upcoming challenge! OMG...Look at that Hammy Go!!! Cute, cute NBUS Darnell :-) I can't wait for your NBUS #4 Challenge..Whoo Hoo! OMG!! Hammy has his own stamp and die set??? I NEED that! It is so darned cute!! So excited about a new NBUS challenge....I am sure I can find something NBUS!! Hamster toots! Now that's funny! What cute cards you made with that set...sure sounds like you had fun making them,too! Darnell - WOW - I am so sure that there is not an awesomer person out there in bloggy land than you!!! You are so fantastic and I am a huge FAN!!! Your cards are darling and I am so glad to see that you got this set - as soon as I saw it, I thought of you!! So now I will be picking something else out for your birthday!!! =] Love how cool your cards are and they are truly "wheelie" fun!! SO excited about another NBUS!!! Marked it down - thank you for your true, complete, total awesomeness!!! Love to you!! I thought of you when I saw this stamp set. It is perfect for you! You made terrific use of it too. I love hammy's thinking outside the wheel. That is so cute. I'm going through my NBUS so I'll be ready. I see wrist surgery in your future. Two adorable cards! Not surprised you HAD to have that stamp set! Looking forward to the new challenge. Both cards are so cute, cute, cute!!!! And I bet you couldn't wait to play with these stamps! I got a good chuckle from your Hammy cards! I find one-layer cards so tough - love your embossing folder - great dimension! Thanks for the heads up on the NBUS challenge - I plan to be here! Super cute Hammy cards! He's an energetic little critter, that's for sure. Looking forward to the next NBUS challenge. Oh my word--of course you had to have that set! Adorable cards, Darnell! Another NBUS challenge--wow, you're amazing! Of course, 800 followers is worth celebrating, for sure! Lately I've actually been using some new stuff so it doesn't become NBUS, but I still have plenty to use for the challenge--LOL! I KNEW you'd have to get that set Darnell, Hammy has now gone viral!!! What an absolutely delightful blog you have! I've enjoyed browsing around,looking at your wonderful artwork. Your blog posts are a joy to read. You have a fantastic sense of humor. Your hamster cards are very cute, too. You have a new Follower with me! We wheelie like you too, Darnell! Hammy must be so excited to be the star of your post. Terrific cards. Looking forward to your upcoming NBUS challenge. 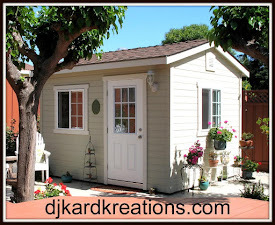 Love coming to visit your entertaining blog with so much positive energy! I wheelie like you cards Darnell, I wheelie reading your posts too! I shall have to think about my NBUS for your next challenge too! These cards are stupendous!!!!! Love hammy and your creativity! Yay for another NBUS! Have a wonderful day Darnell! I have just fessed up to Hubster about my purchase of the dies and stamps - YOUR fault! He likes your card but he raised his eyebrows when I told him about your Hammie! Somehow I don't think he believes me about Hammie! Tut Tut!! Love your creativity and crafty support Darnell!!! How wonderful that Hammy has his own special stamp set! Don't think I'll ever forget the nights listening to my son's hamster running on his wheel! Fortunately your Hammy cards will be the silent variety! Looking forward to a new NBUS challenge. I never seem to run out of NBUS!! So glad you purchased the Hammy inspired products, he must be so proud to see his likeness in ink!! And another NBUS, how exciting. Will add it to my calendar now! I'm doing my very own "Hammy dance" here - what simply splendid makes - gr8 to see hammy got his own range of stamps .... FINALLY!!! I personally prefer the idea that the "clouds" are hammy toots! What a perfect stamp set for you, Darnell! Looking forward to the next NBUS!! Adorable, Darnell!! Such a cute set and i love the little hamster! Your cards are so darn cute!!! Thanks for playing along with us at Addicted to Stamps and More!! Your cards are just adorable! 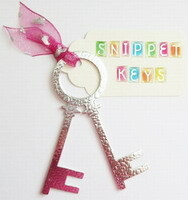 These are SO absolutely adorable! And I always appreciate seeing the stamp used more than one way. What a great product, but you've made it shine with the fabulous colors you chose and the perfect way you arranged these on the card itself. You have a great eye and I'm so glad you shared your talents with us for this week's Simon Says Stamp Monday Challenge! This set was designed just for Hammy and you I'm sure! Such fun cards! Thank you for always making me smile and a lot of others too. If more people would spread joy, the world would be a much happier place for more people. Your cards are so cute! What a perfect stamp set for you. Hi there, I'm new to the world of challenges. This sounded like it would have been a lot of fun. I'm sorry I missed it.